Happy Mothers’ Day! I hope you’re all having a lovely day treating your lovely Mums. I made breakfast and bought flowers for mine and then next week we’re off for afternoon tea with my sister, my Aunt and my cousin for a bit of a delayed celebration. Today’s Sunday Bake is a really easy one and took me less than half an hour from start to finish. Perfect for a Sunday tea time treat. 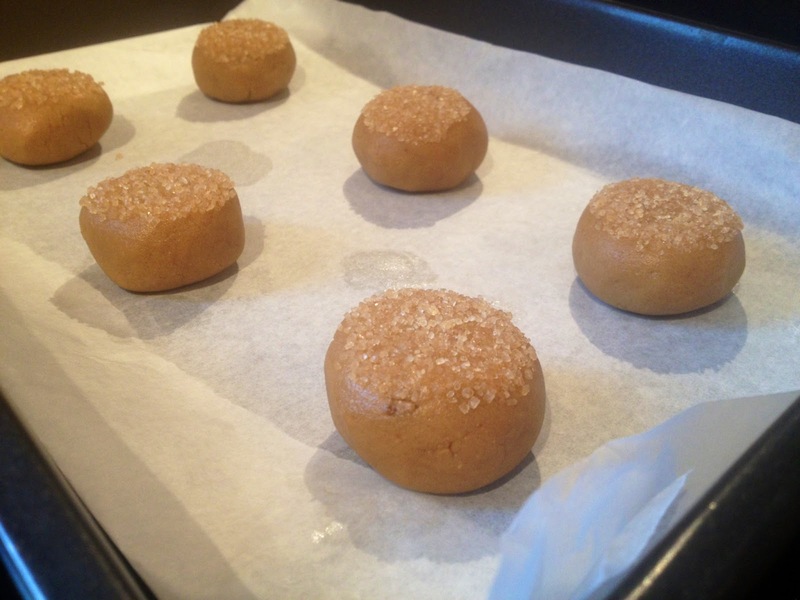 If you’d prefer a bit more crunch in your cookie use chunky peanut butter or mix some peanuts into your dough, make sure you use unsalted ones though. 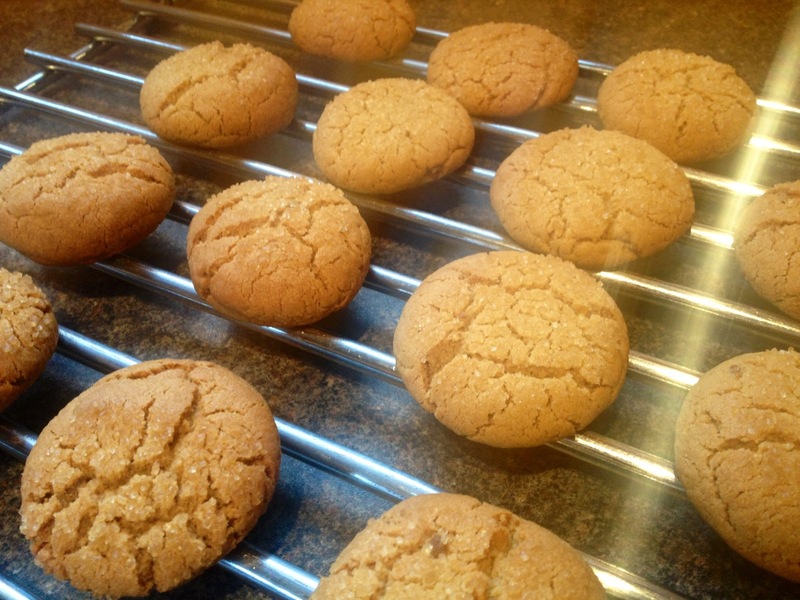 The demerara sugar is a bit of an extra treat so don’t worry about leaving this out if you don’t fancy it but it does add a nice little crunch on top. 1. Preheat the oven to 180°C and line 2 large baking sheets with greaseproof baking paper. 2. 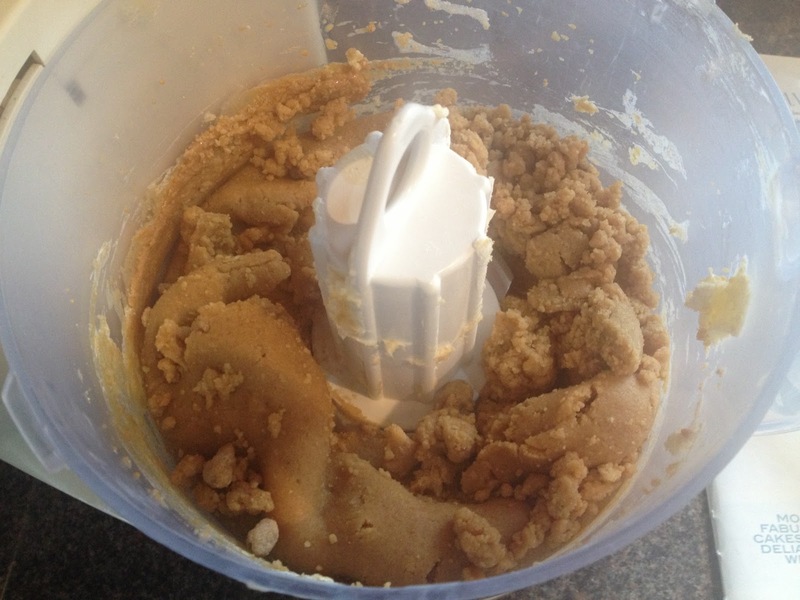 Mix together flour, soft brown sugar, bicarbonate of soda, butter, peanut butter and egg. 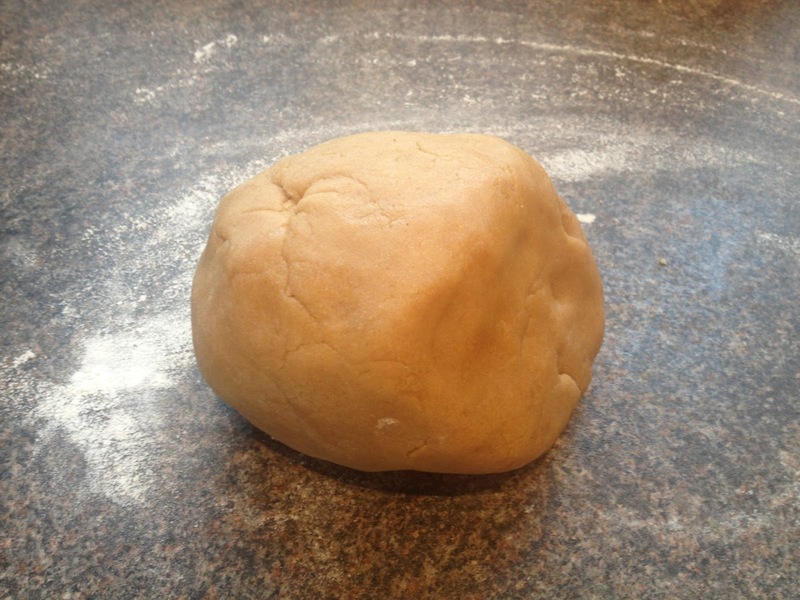 Beat together until a dough starts to form. I did this in a food processor because it’s really quick and easy but this can also be done with good old fashioned elbow grease if you don’t have one. 3. 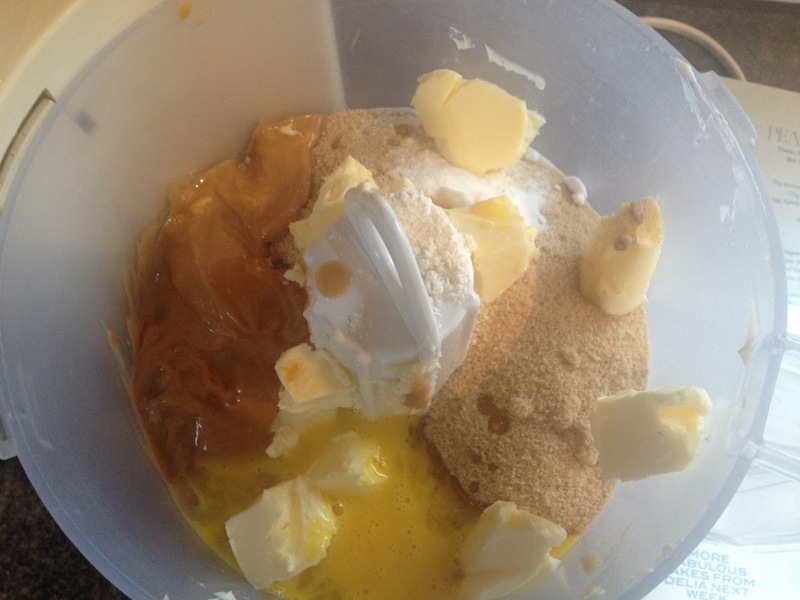 Remove from bowl and bring all the dough together. 4. Break pieces off and roll into small ball shapes between your palms. 5. 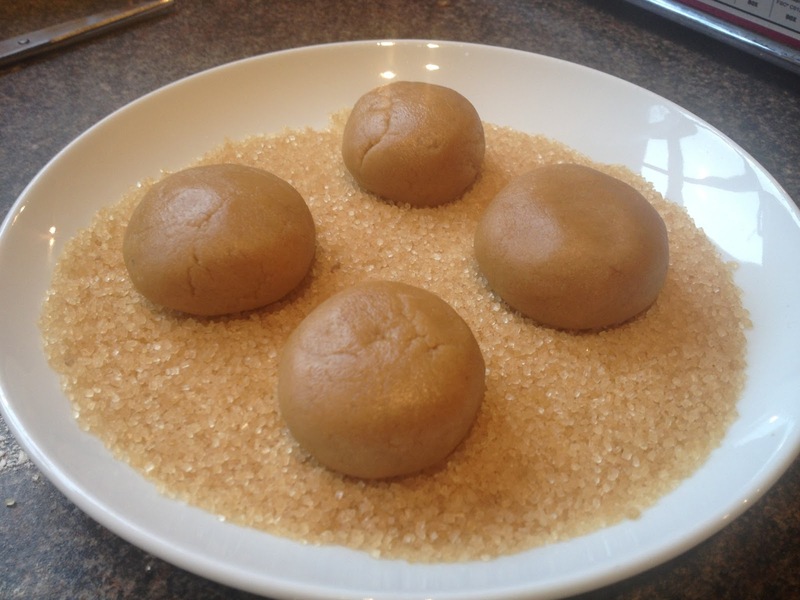 Sprinkle the demerara sugar onto a plate and gently press the balls into the sugar. 6. 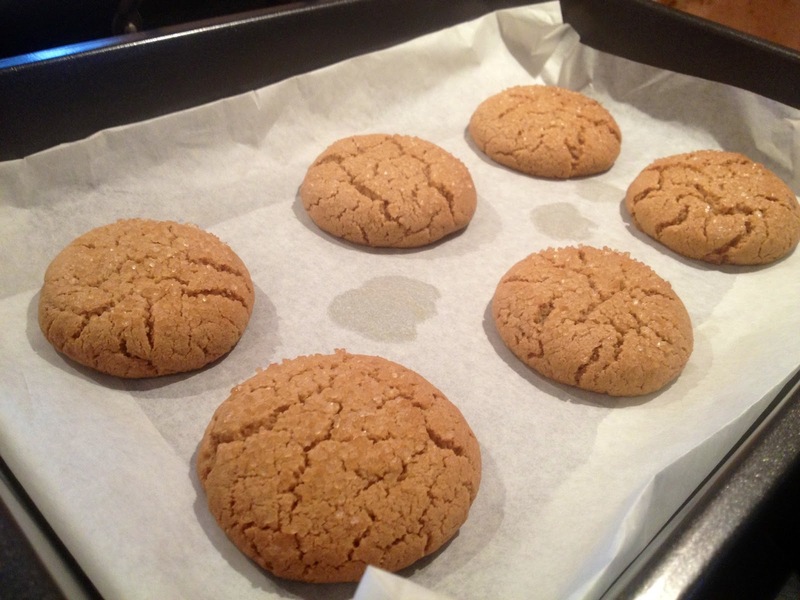 Place sugar side up on to your baking tray. Leave plenty of space, these cookies will spread. 7. Bake in the oven for 15 minutes until firm on the outside but still a little bit squidgy.